The Philadelphia Inquirer reported the ongoing Federal criminal investigations into about 20 psychiatric facilities owned by Universal Health Services (UHS), the nation’s largest operator of inpatient behavioral health facilities. Federal authorities have been requesting documents from UHS facilities since 2012, investigating potential billing fraud. In March, the criminal frauds section of the U.S. Department of Justice expanded its investigation to include UHS’s corporate headquarters in Pennsylvania. According to the Philadelphia Inquirer, UHS had $3.27 billion in net patient revenue in the nine months ending on Sept. 30, 2015. According to the Pennsylvania Health Care Cost Containment Council, UHS owns 4 of the top 5 most profitable psych facilities in Pennsylvania, two of which are under federal investigation (Roxbury Treatment Center and The Meadows). 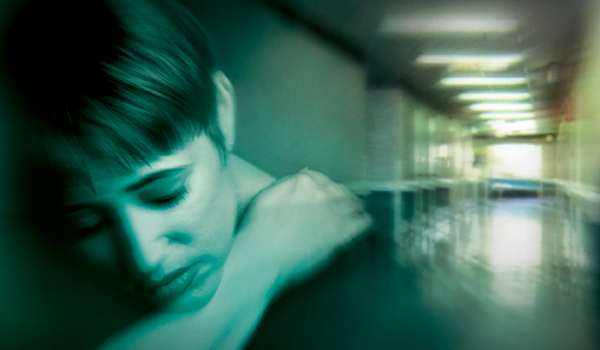 CCHR found that at least three UHS psychiatric facility staffs in recent years have been convicted of sexual or other abuse of patients or child abuse, with two staff serving a combined 35 years in jail. Rock River closed in April 2015 following a Chicago Tribune and Department of Children and Family Services investigation which found that the adolescent girls admitted there had suffered severe abuse during their stays. November 12: The Patriot Ledger in Massachusetts reported on the completion of a state investigation into the death of a patient in her 20s at UHS’ Pembroke psychiatric hospital in August this year, the outcome of which is still to be announced. A previous article said that Pembroke reported 7 patient deaths this year. November 6: UHS reported that the Pennsylvania Department of Human Services had demanded that seven of its mental hospitals return $4 million to the state for fiscal year 2011 payments made to the hospitals. UHS could face the same repayment demands for 2012-2014—potentially $16 million total. 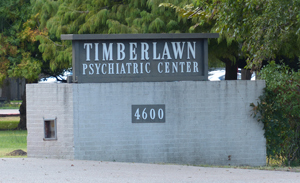 August 31: CMS terminated UHS’s Texas Timberlawn Mental Health center’s contract due to uncorrected deficiencies and patients put at risk. CMS inspectors found Timberlawn workers had falsified records to avoid scrutiny in a patient-harm case. 31 June: UHS reported that Texoma Medical Center in Texas was faced with Medicare/Medicaid termination stemming from failures to comply with conditions of participation. Texoma entered into an improvement agreement with CMS, thereby abating potential closure because of Medicare/Medicaid funding cuts. 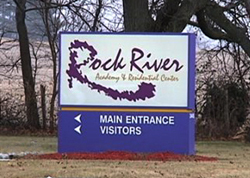 April: Rock River Academy in Illinois closed after the Department Children and Family Services (DCFS) refused to send juvenile wards there. Rock River had the highest rate of youths manually restrained by staff in 2014 among the 52 residential treatment centers measured by the DCFS. CCHR also found dozens of psychiatrists working at or affiliated with UHS facilities are among the top 25 prescribers of psychotropic drugs. Chris Burrell, “State finishes investigation into death at Pembroke Hospital,” Patriot Ledger, 12 Nov 2015, http://www.patriotledger.com/article/20151112/NEWS/151117836; Chris Burwell, “State investigates death of patient at Pembroke Hospital,” Patriot Ledger, 18 Sep 2015, http://www.patriotledger.com/article/20150918/NEWS/150915535. Timberlawn Mental Health System v. Sylvia Mathews Burwell.